The Transitory Sound and Movement Collective will present an immersive evening of sound and movement at CAMH creating a malleable soundscape that sonically guides spontaneous compositions. Sound artist and founding artistic director, Lynn Lane, will create a malleable soundscape that sonically shapes and guides the spontaneous composition of the numerous artists involved in this new work. Each artist involved is recognized both nationally and internationally within their own career, and are all experienced collaborators with the TSMC. The sound component of the collective will involve renowned musicians from organizations, such as the Axiom Quartet, Musiqa, and the Loop38 Orchestra, as well as from the graduate and doctorate programs of the Shepherd School of Music at Rice University. Some of Texas’ foremost contemporary dance artists/choreographers from Houston, Austin, and Dallas, will be creating the movement both individually and collaboratively. In this work, the unique architecture and lines of CAMH will become vital to the concept as another powerful visual component of the collaboration inspiring movement and sound development with in the gallery space. The Transitory Sound and Movement Collective (TSMC), founded by artistic director, Lynn Lane, brings musicians, sound artists, dance artists, spoken word and visual artists together to collaboratively create immersive and experiential evenings of sound, movement, and visual art through a guided improvisational process. Each performance is a unique and spontaneous composition that is created by the process of consideration and response of each artist to the overall whole and concept. The created work truly becomes an unspoken conversation through structured improvisation. 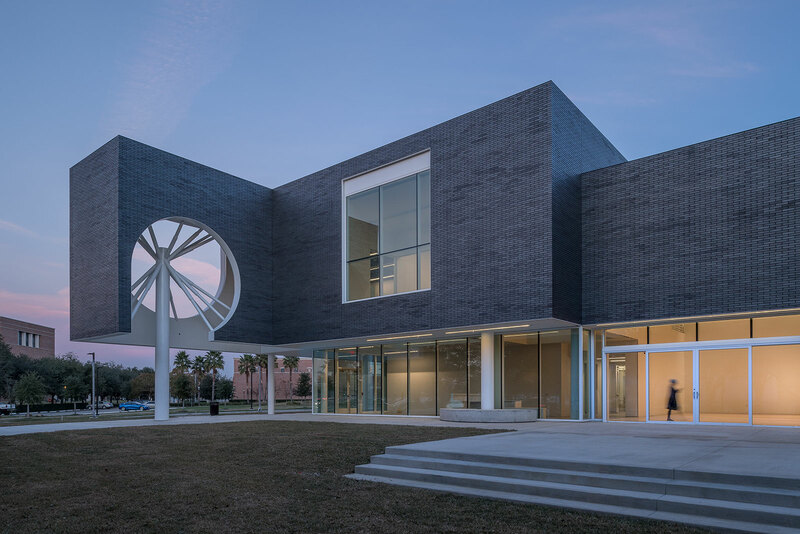 Officially formed in December of 2016, TSMC has created evenings for venues such as the Houston Center for Contemporary Craft, the Rec Room, the Rice University Gallery, the Texas Dance Improvisation Festival (TCU-Fort Worth), the Rothko Chapel (February 2018), and the Arts Mission Oak Cliff (March 2018). Annie Arnoult (Houston, TX)- Founding Artistic Director of Open Dance Project and Hunter Dance Center, former Artistic Director of Chicago’s Striding Lion Performance Group, and founding member of TSMC. Alexa Capareda (Austin, TX)- Choreographer, Co-director and performer of Frank Wo/Men, former dancer with Balet Bratislava, and current dance artist with ARCOS Dance. Erica Gionfriddo (Austin,TX)- Co-Founder, Director, Choreographer and Dance Artist of ARCOS Dance. Jennifer Mabus (Houston/Dallas, TX)- Choreographer and Performer, Former soloist for Battleworks (Robert Battle’s company before he became the director of Alvin Ailey American Dance Theater), Dancer for Takehiro Ueyama (NYC), founding dancer for the Bruce Wood Dance Project (TX) and Dark Circles Contemporary Dance(TX), and founding member of TSMC. Amy Morrow (Austin, TX)- Artistic Director and Choreographer of The Theorists, Founding Director of the Toolbox Series in Austin, TX, Certified Gaga instructor, trained by Ohad Naharin of Batsheva Dance Company in Tel Aviv, Israel.